A truly memorable place to spend some time, in a lovely Palladian city. Staying in a real palace, built by Signor Palladio himself, was an experience to be remembered, and cherished, for ever. The view from the terrace was stunning and we enjoyed our evening glass of wine with the sun setting over the ancient red roofs of the houses around us. Vicenza is a beautiful, unspoiled city, surprisingly lacking in tourists and really well worth a visit. 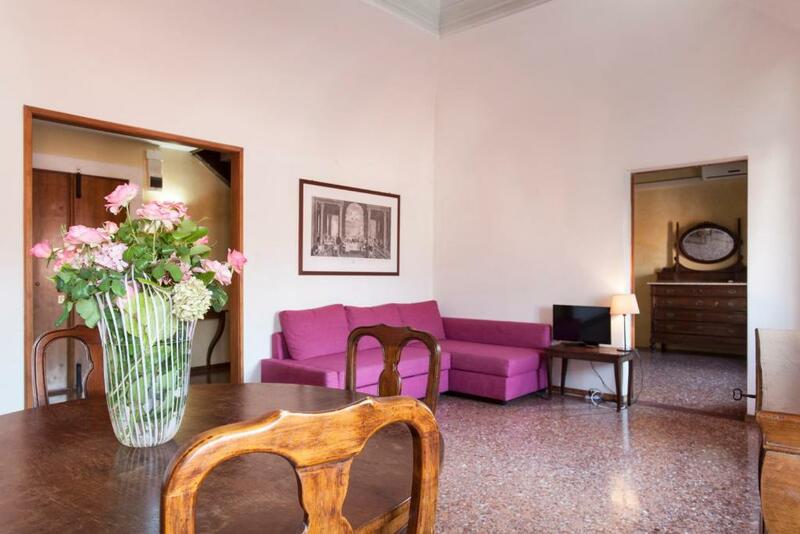 We went on the train from Verona and then onto Padua, from here; public transport travel and access is very easy - the bus/train station is a 5 minute walk from this extraordinary apartment. Thank you to Francesca for creating such a lovely place to stay and in such a perfect location. Staying in one of Paladios villas is such a privilege. I would recommend to everyone! Great hosts, location and cleanness. Hope to come again. a nice room and a nice owner, it's a apartment instead of hotel, balcony is not bad, which is good for the summers I think. This place is amazing: beautiful historical building, located in the middle of Vicenza, walking distance from everything. In addition, it was clean and very comfortable, we felt like at home. The host was available and welcoming, still discrete and keeping the distance. The nearby parking was safe and not expensive. All in all, great choice of you want to explore Vicenza and places around. We will definitely come back. The apartment was spacious, elegant and we'll located. The hostess was really pleasant and helpful. We thoroughly enjoyed our stay. Charming owner. Amazing Palladian palace. Forget hotels and book here. The apartment was very big, our children loved it! Very central location. We will go back! I really liked staying in a historical building right in the heart of a very beautiful city. The apt was very spacious with two comfortable beds. Breakfast was made available at a very low cost at a cozy & friendly café just across the street from our apt. The owner took time to point out some of the highlights of the palace. 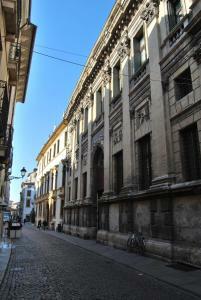 Vicenza is a city worth visiting with many beautiful buildings and museums (closed on Mondays). We found a restaurant near our apt. which was quite good and not at all expensive with excellent service. Apartment spacious, well equipped & spotlessly clean. Location excellent in old city of Vicenza - all sites within easy walking distance. Host very helpful - easy booking, check in & check out. Very quiet in the evenings & felt extremely secure. Bed comfortable. We stayed in the Leonardo Apartment on the second floor - this was helpfully reached by a lift The apartment is right across the road from a little cafe where you can have breakfast (Cafe Rosa) and also from a little wine bar where you can have an aperitif or a night cap. Good restaurants close by & of course a gelateria just around the corner. Museum Card good for visiting Teatro Olimpico, Museo Palladio, Palazzo Chiericati (civic art museum) & the Chiesa di Santa Corona - all worth spending time in. Others sites included too but we ran out of time to visit them all. Fabulous setting, a palladian building how exciting, wonderful accommodation . 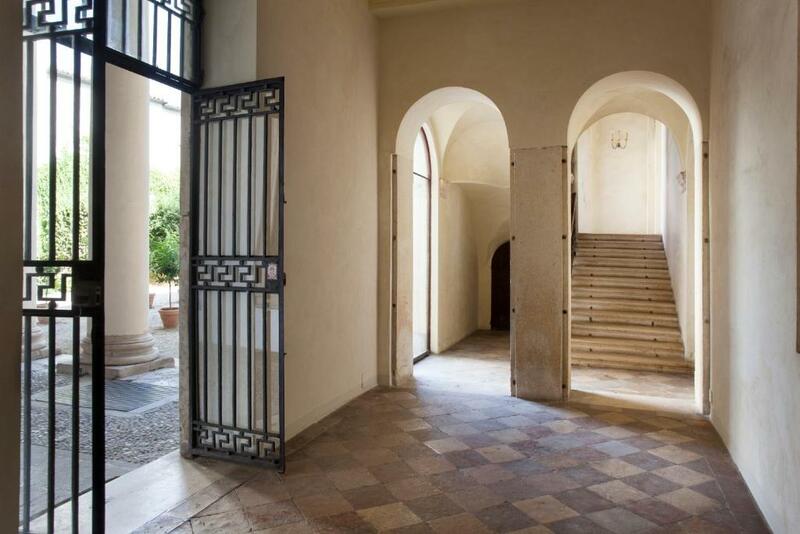 Lock in a great price for Palazzo Valmarana Braga - rated 9.1 by recent guests. One of our top picks in Vicenza.Located at the second floor of an historical building designed by Andrea Palladio, Palazzo Valmarana Braga is the centre of Vicenza, 350 yards from Piazza dei Signori. The property features a garden. With views of the city, the air-conditioned apartments have marble floors and classic furnishings. They are equipped with a TV, seating area and washing machine. 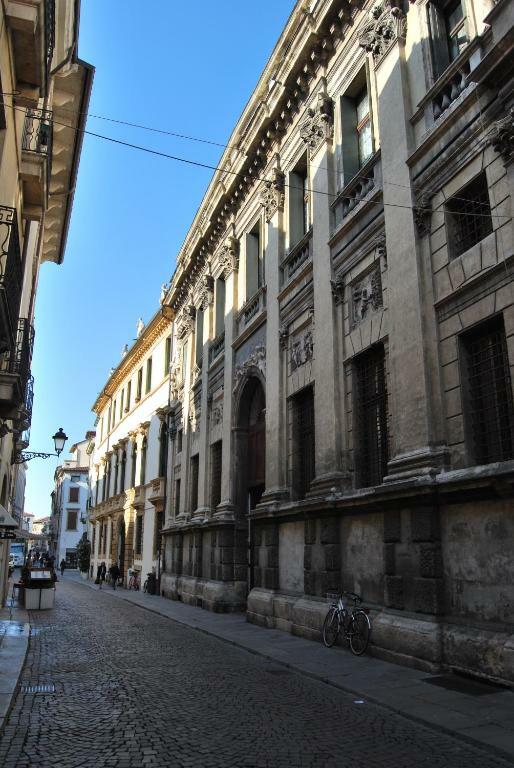 Vicenza Train Station is a 10-minute walk from Palazzo Valmarana. 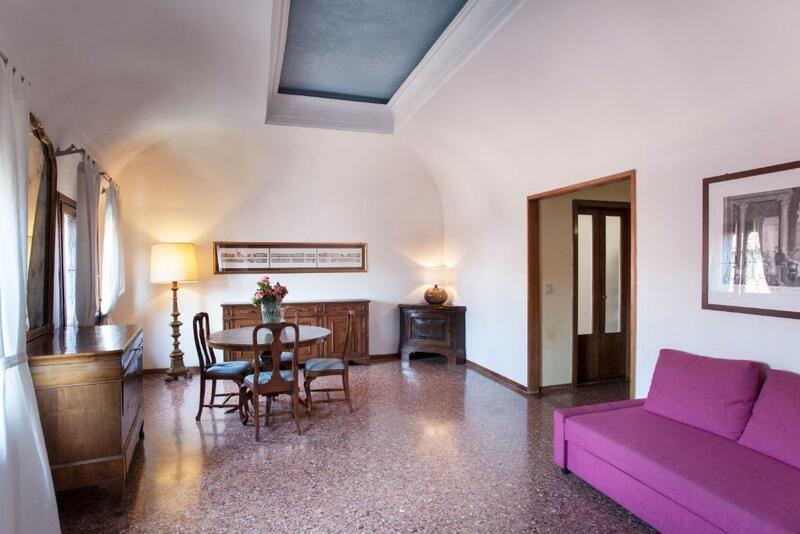 This property is also rated for the best value in Vicenza! Guests are getting more for their money when compared to other properties in this city. Palazzo Valmarana Braga has been welcoming Booking.com guests since 20 Nov 2013. When would you like to stay at Palazzo Valmarana Braga? With views of the courtyard, this air-conditioned one-bedroom apartment has marble floors and classic furnishings. It is equipped with a TV, seating area with a sofa bed, and washing machine. It is located on the 2nd floor. 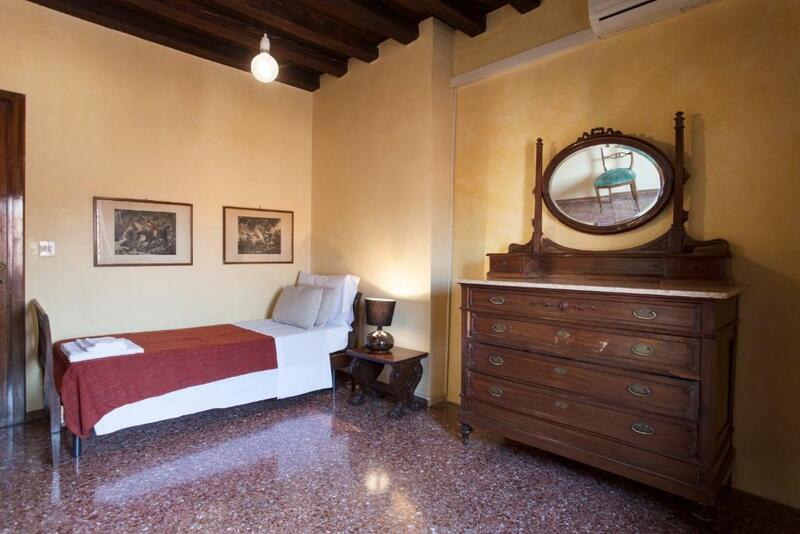 Offering views of Corso Fogazzaro street, this studio features a seating area with fully equipped kitchenette, a separate bedroom, and a bathroom. Offering views of Corso Fogazzaro street, this studio features a seating area with fully equipped kitchenette, and a bathroom with a shower. This apartment features a seating area with a well equipped kitchenette. 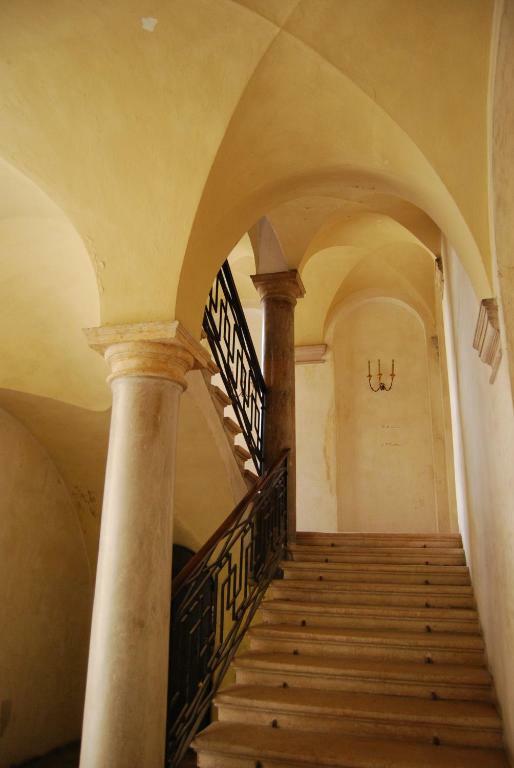 The bedroom is located in the basement accessible via a winding staircase. The bathroom is complete with a shower. It is located on the 3rd floor. With views of the city, this studio features a terrace, dining area and air conditioning. The private bathroom is complete with a shower. Split on 2 levels, this apartment features a dining room, kitchenette and a bathroom. This suite features a seating area, microwave and tile/marble floor. La nostra è una struttura storica, disegnata da Andrea Palladio nel 1565, è un luogo di proporzioni e bellezza straodinaria, situato nel cuore del centro storico. 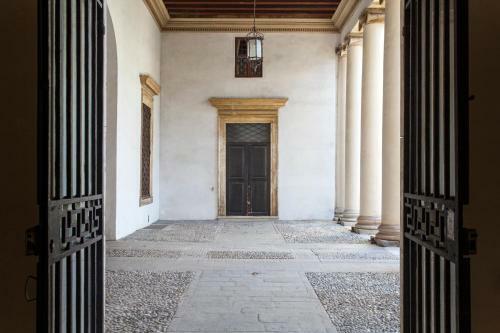 Cosa c'è di meglio che soggiornare a Vicenza città del Palladio, in un Palazzo disegnato e progettato proprio da Andrea Palladio e in corso Fogazzaro tra le vie più interessanti della città per bellezza e botteghe storiche e artigianali. 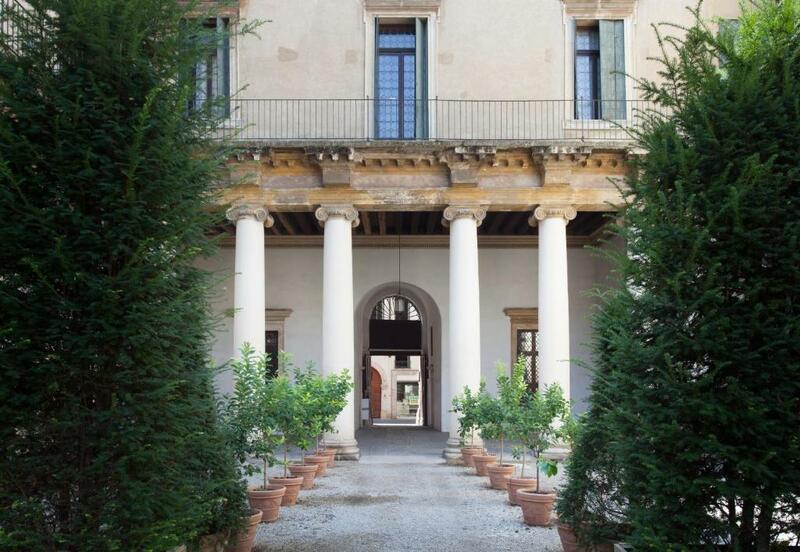 House rules Palazzo Valmarana Braga takes special requests - add in the next step! 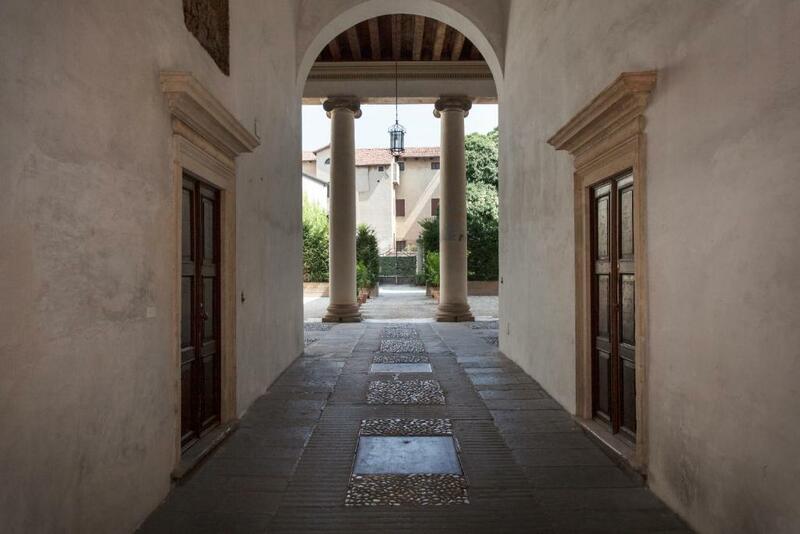 Please inform Palazzo Valmarana Braga in advance of your expected arrival time. You can use the Special Requests box when booking, or contact the property directly with the contact details provided in your confirmation. Sparsely furnished huge apartment, although it had step-ups and downs between almost every room. The kitchen was wholly inadequate. Access after hours required going through multiple gates and keys. The hosts were extremely accommodating and provided transportation to Bergamo upon our departure. Over bath shower a little difficult to use without getting water everywhere but this is only a slight inconvenience! A bath to soak in makes up for it. Staying in a 16th century palazzo, one of many in and around Vicenza listed by UNESCO. Convenient location and very friendly and helpful hosts. The apartment is beautifully decorated with high ceilings, comfortable beds, lots of sofas were to rest. Each room is exquisite with modern comfort and old world beauty. In the middle of a pedestrian zone, few steps away from Piazza dei Signori. We felt like royalty!